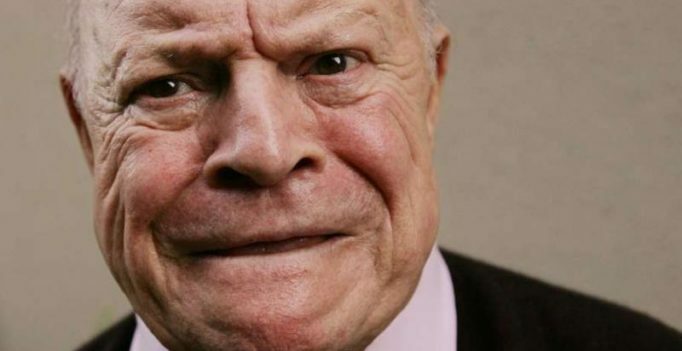 Mumbai: Legendary comedian Don Rickles has passed away from kidney failure at the age of 90. For over half a century, the king of insult comedy headlined casinos and nightclubs from Las Vegas to Atlantic City. N.J., and appeared often on late-night TV talk shows. His fellow Hollywood stars shared their reactions to his death. “In lieu of flowers, Don Rickles’ family has requested that people drop their pants and fire a rocket. #RIPDonRickles,” he further wrote. “RIP Don Rickles, 90. One of the funniest men who ever lived,” Piers Morgan tweeted. Dean Cain, Lynda Carter, Jim Gaffigan and others also paid their tributes.